When it comes to developing a mobile application, developers explore and experiment with different ways to improve user engagement and experience. The primary focus is to improve app functionality, performance usability, and security. All this is an effort to avoid user abandonment while at the same trying to beat the clock and the competition. Brands rely on app developers to timely deliver on their commitments. 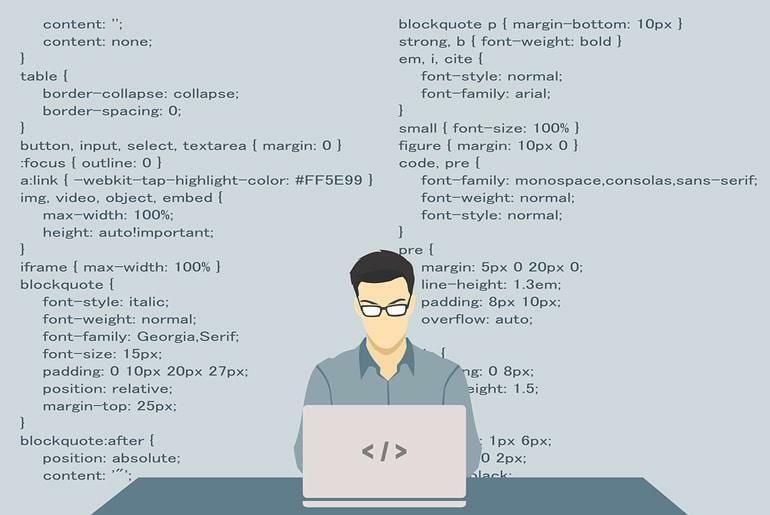 While measuring a developer’s productivity is a challenging task in itself, cultivating healthy habits and giving developers access to the right tools can work wonders. In this post, we will discover a few useful app development tools. We shall also look at the mindset with which your app development team must approach each project to increase their overall productivity. When it comes to productivity, before anything else, focus on these simple 17 hacks to get started off in the fast lane. Most users these days abandon apps after a single use. To engage and retain the user, new features, and regular fresh content is a must. The minimal viable concept of apps refers to breaking down the different features of the apps into bite-sized tasks for your developers. This way your developers will launch apps more quickly with little confusion. New features can later be added based on analytics and user feedback. For mobile applications, the idea and the vision behind your app need to be communicated effectively to the development team. Without wireframes to guide your team, bugs are prone to occur in the final product which wastes precious time. An agency can easily improve productivity by ensuring the entire team is on the same page. Major OS like Android and iOS allows developers code in a variety of languages. Your developers can keep the code manageable and save time and excess code clutter by opting for modern languages such as Python. Mobile App trends shift non-stop, and to help the development community, Google and Apple continue to roll out new toolkits. This makes the work of App Developers easier, besides updating new apps according to the latest trends. Most developers these days use coding languages such as Java, HTML5, and CSS3 to develop cross-platform apps. Because cross-platform apps require extra effort and time, there are third-party apps available for developers. One of the robust tools is Xamarin. It makes cross-platform development across Android, Windows, & Apple Apps share a single code base which ultimately saves time. Often developers have to invest a lot of time to fix bugs. This is why it is important for them to test the app during the coding process. Performance issues and defects must be addressed while the app is in the development phase. Project management and its conventional techniques often can’t meet the complex demands of app development. The agile methodology enables app developers to code apps in sprints. Initially, the app is delivered with minimum functionality and features. Once launched, new features are added to it over time. A variety of code editing software is available for use. There are free code editors such as Eclipse and Vim to paid versions such as IntelliJ IDEA. Find a software that suits you as it will allow you to work faster. Another issue faced by app developers is collaboration. Gradle allows you to collaborate across multiple projects to optimize problem areas. It is considered as official Android system build. Maven Apache allows the build process to be much easier, efficient and uniform. Also considered being an alternative to Gradle. There are a ton of online repositories of information you turn to if you get stuck somewhere. There is no need for you to reinvent the wheel, simply ask for help on such forums. Perfect for collaborating with your entire team, this database of code repositories can ensure a bug-free App project. Github promotes the open source while Bitbucket keeps your plans private, depends on your preference. You can use Cyberduck or FileZilla for free solutions across all platform (OS X, Linux, and Windows). If you are a Mozilla Firefox user, you can download a FireFTP extension as well. There are lots of time tracker apps out there, take a look at Togg, Rescuetime, Clockify or TimeCamp for some great app and web-based tracking tools. These apps record daily charts on a graph to visualize how your team is spending time. You can use them to ensure time is spent productively in your agency. Editor’s Note: I use Timecamp to track all of my time and find it’s really easy to use – I love the weekly emails so I can see how my productivity matches up to last week. There are different software for Wireframing to aid you in the early stages of your development process. Get your vision out of your head and in front of your team to ensure everyone is on the same page. Brainstorming and mind mapping are critical parts of app development and you can do that really well with Creately. Collaborate flowcharts and on diagrams by quickly organizing and capturing ideas that your team has in the form of a visual. Background noise can play a crucial role in increasing your focus. Noisili allows your mind to tune out all the excess stuff in your mind and your surroundings, and tune you into what you do best. Enhance productivity in several ways through techniques and tools mentioned above. They will help App developers enhance their turnaround time – and also provides some great tips for other business areas too. What are your favourite coding and app development tools? Let us know in the comments if we’ve missed it off the list. Megan Dennis is a passionate tech blogger at Appiskey, a Florida based Mobile App Development Company specializes in iOS and Android game development. She is passionate about technology and loves to analyze the tech industry in his spare time and stay in touch with the latest happenings. He also writes technical articles. Follow @megandennis07 for more updates.